Artists Egle Oddo and Mari Keski-Korsu participate to Triennal Agrikultura with their artworks: Landscape of Resistance, and Calling for the Others. The opening is 1 July 2017 in Malmö, Sweden. Curators Marek Walczak and Amanda McDonald Crowley have selected 32 projects from across the globe to address following questions: What is our present relationship to the land? How can we augment and redefine our cultural and emotional connection to a nature that we have over-extended? How can we re-engage with nature we have pushed ever further from our lives? 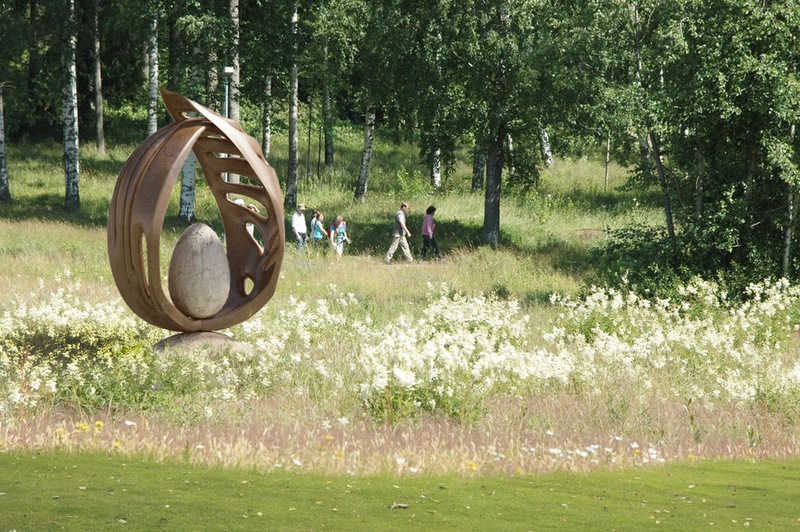 Egle Oddo’s Landscape of Resistance combines a sculpture resembling a giant sprout, an oval land area where a mix of seeds from traditional cultivars and wild herbs has been previously planted, and a food performance. Taking inspiration from G. Clément’s Derborence Island project, the artwork creates a miniature size de-regulated area for bio-diversity, which serves as seed bank allowing more vulnerable species to thrive. Over time, the artwork becomes visible from its surrounding thanks to versatility of seeds it carries. In the long term, Landscape of Resistance will bring out surprising assemblages of species and new aesthetic formations, fading the demarcation line between sites for cultivars, urban landscape and wilderness. Landscape of Resistance is part of Ark of Seeds, a larger project by Egle Oddo, started in 2007. Ark of Seeds is a series of wild, planted fields and large-scale sculptures bringing knowledge of collective management of natural resources in the form of a participatory art project. 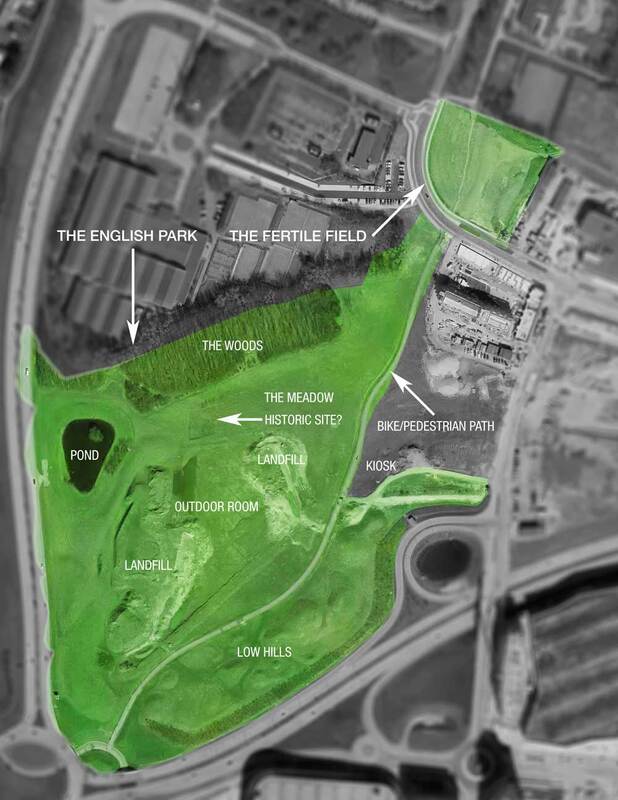 Throughout the project, the expanding number of miniature fallow areas scatters at different latitudes and offers shelter to biodiversity through art production and contemporary landscape design. Mari Keski-Korsu collaborates with Grit Ruhland at the artwork Calling for the Others, a participatory and interdisciplinary project that seeks ways to establish a communication with kinds of others. It’s inspired by the traditional cattle calling, joik, jodling and throat singing. The others who are called, could of course be cattle but the idea is to call any members of flora & fauna, other entities and everything in between (i.e technology). The aim is to seek balanced connections on the ecosystem we live within and activate the collective consciousness trough synchronized, together planned actions that can be sound, movement or meditation based. Calling for the Others emphasises the understanding of the human species: we are humans and that is our perspective – but trough empathy, it is possible to understand and identify with the others; to seek contemporary animism. The project consists of workshop sessions that are open for everybody – no previous experience of sound or meditation practices is required. In these sessions experiencing environment and attentive listening creates the base to work with, the participants on different ways of calling and encouraging them to develop their own calling methods. The sessions consists of different kinds of exercises from telephatic inter-species communication to swarm sounding. 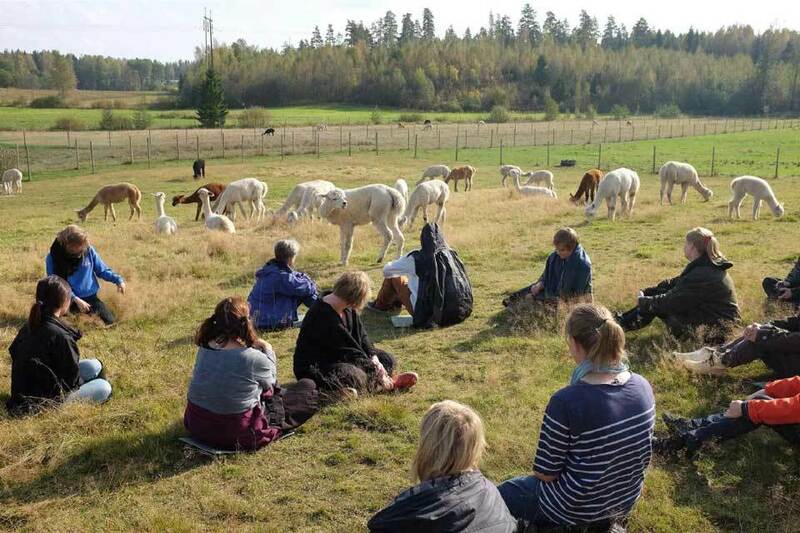 In Malmö, the workshop sessions have a part for learning kulning – traditional Scandic cattle calling. This part of the workshop is lead by a singer and kulning expert Helle Thun. When listening to the surroundings, the participants can eg. focus on certain sounds and make their own interpretations of the sounds, this way calling the sound source and its’ true name with its’ own vibration. Some of the sounds based on calls are recorded, edited and left on the site to be heard from speakers as a call & hackings of the sound-scape of the area Agrikultura Tiennal area in July-August 2017. In the opening of the festival, 1st of July, local food producers, chefs, and artists collaboratively develop a performative convivial feast. Mari Keski-Korsu and Grit Ruhland will conduct a workshop for learning kulning; Egle Oddo will offer the public miniature edible sculptures filled with seeds and herbs, they have been designed in collaboration with chef de cuisine Lorenzo Eleuteri. Triennal Agrikultura, commissioned by Kulturföreningen Triennal, is an exhibition held every three years in the south of Sweden. Installations, land art projects, public art, performances, mobile kitchens, meals, urban inventions and gatherings take place outside exhibition halls, preferring the fields and Hyllie public park in Malmö between 1 July and 27 August, 2017. Landscape of Resistance is supported by Kone Foundation, Svenska kulturfonden, Frame Contemporary Art Finland and Nordic-Baltic Mobility Programme for Culture. The seeds used in the project are part of Maatiainen association collection. Calling for the Others is supported by Frame Contemporary Art Finland, Nordic-Baltic Mobility Programme for Culture, and by Arts Promotion Centre Finland. Vernissage: 1 July 2017. Exhibition open until 27 August 2017. Free entrance, suitable for families.